Every parent wants to create a perfect room for their kids. A space where kids are going to be spending most of their time must be designed with a lot of thought and planning. While designing a room for children it becomes very hard to keep up with the latest trends and decor ideas for kids room and furniture. Along with imagination, durability and innovation are other elements that has to be included while designing a room for kids. There are few formulas that one must keep in mind while beginning to design and furnish a kids room. 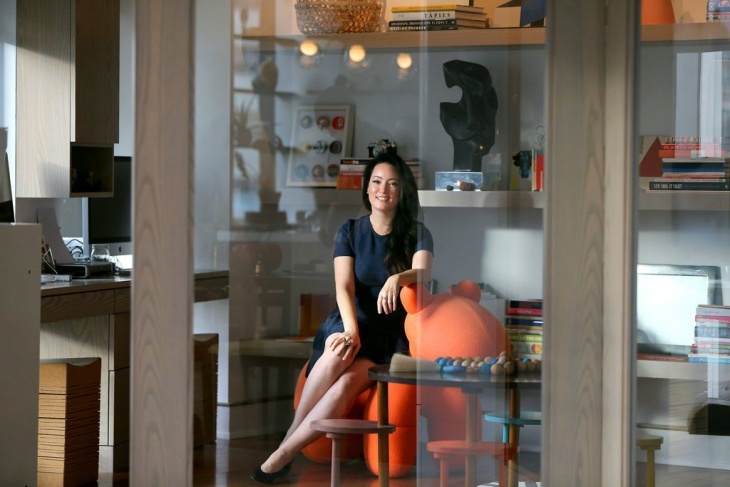 Her meticulous curatorial work and nuanced collections have been featured in the New York Times, the Wall Street Journal, and many design based journals and magazines. 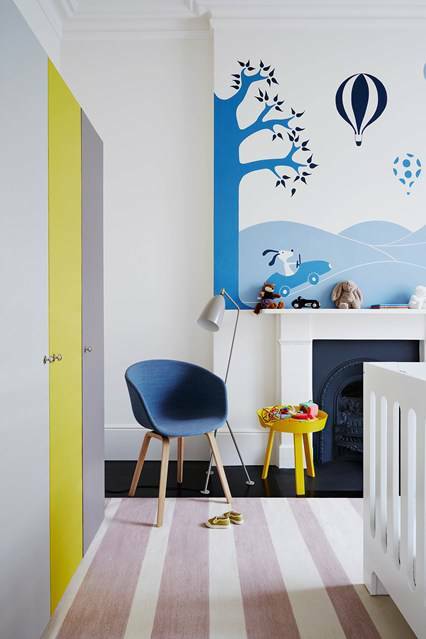 The most important thing to keep in mind while designing a room for your kids is to make sure there are elements that that stimulates imagination and have a playful vibe. It helps kids in forming perceptions, building understanding and interpretations. The room in the picture above is filled with creative elements that can help a child develop imagination and emotions, essential for an over all development. 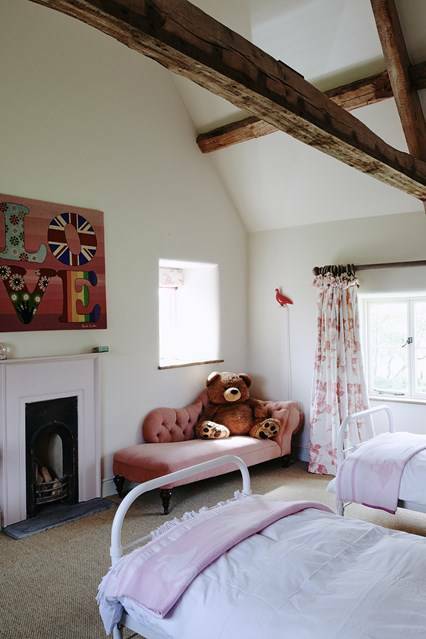 In the kids’ bedroom of Joanna Vestey’s Oxfordshire farmhouse, the large teddy bear has added a playful touch to the room while the colorful LOVE handmade wool wallhanging by The Rug Company is an aesthetic essential of the room. 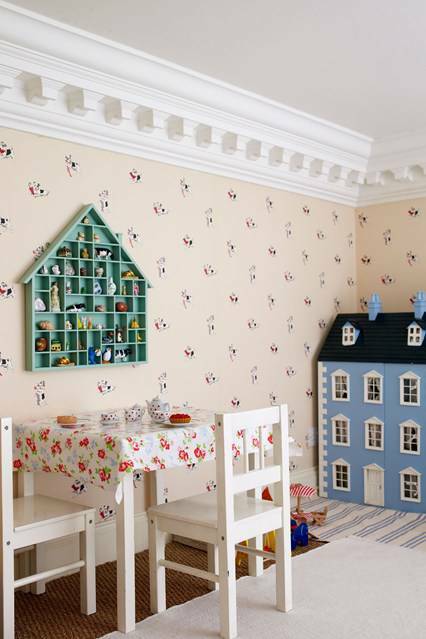 We love to tell stories to our kids, how about giving their room a character? The room looks like it came from some fantasy children book. Children’s room should have a multipurpose usage so that kids can indulge in various activities without having to create too much of clutter. This picture above shows an example of a room with multiple values. It is creative, fun and educational. A perfect space for a child to learn, live and play. Color scheme, texture, and pattern also plays a key role since these are the elements that hold a child’s attention the most. 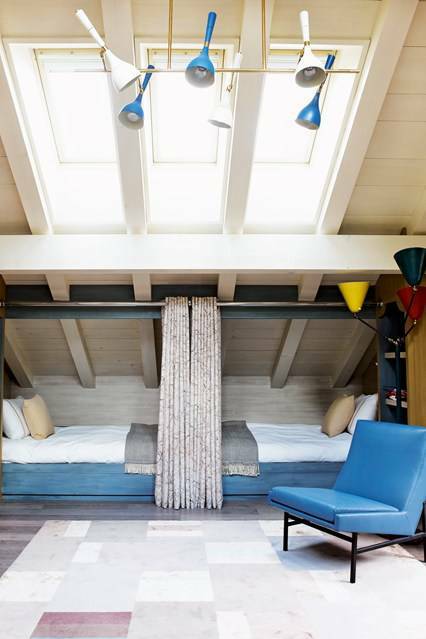 According to Lora Appleton, color invokes mood and drama while pattern promotes individuality. They help in creating an energy and aura for the room. 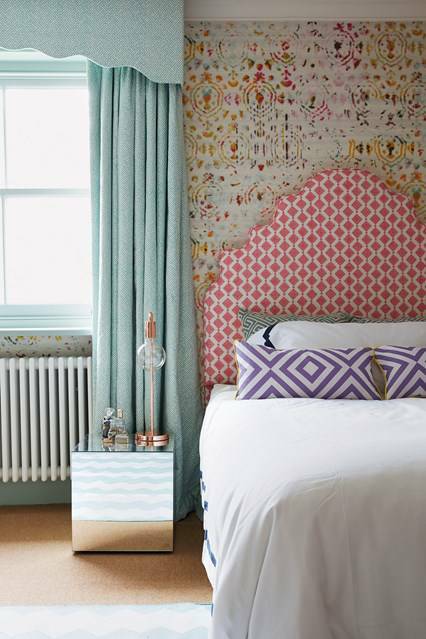 In this children’s bedroom designed by Henri Fitzwilliam-Lay, the usage of pattern, texture, and color is well balanced. The interesting thing about these patterns and colors is that not only are they great for kids but once they outgrow as teenagers the pattern will still work. The combination of color, texture and pattern has given this room a very modern and elegant effect. 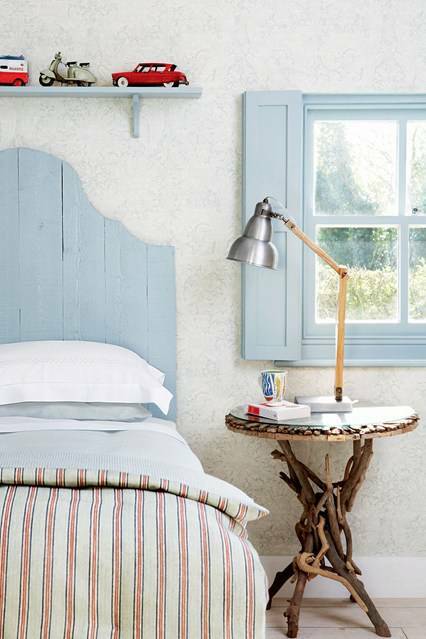 The room eludes serenity with the combination of blue, stripes, the textured wall and the side table build with natural wood. It looks like a perfect peace machine. 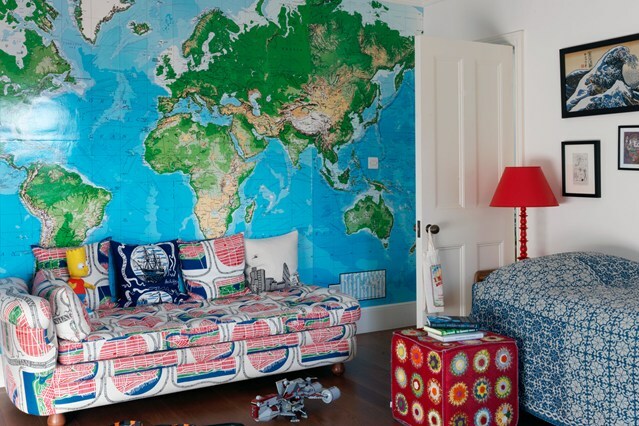 We talked about creativity and imagination but the designing and furnishing of children’s room must also be practical. 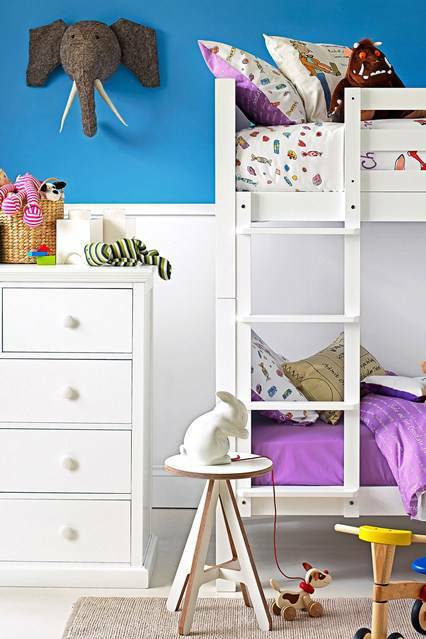 A practically designed room makes everyday functioning easy for the kids. 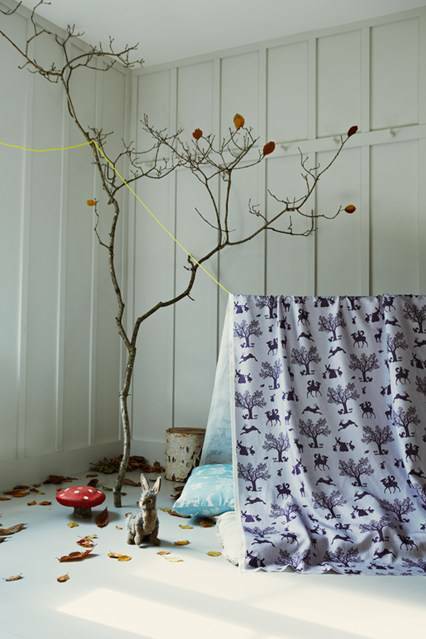 Designer Kate Earle demonstrates how practicality can be creative too. This bed has been designed for sharing purpose but hasn’t been separated or placed side by side thus saving a lot of space yet providing a lot of occupancy and comfort to the kids. The material used for room designing should be well taken care of. Not only does it have to be visually appealing but also has to be durable and strong to ensure the safety of kids.